In recent years, the discovery of new classes and modifications of RNA has ushered in a renaissance of RNA-focused research. Did you know that NEB offers a broad portfolio of reagents for the purification, quantitation, detection, synthesis and manipulation of RNA? Experience improved performance and increased yields, enabled by our expertise in enzymology. Utilize NEB’s RNA Toolbox for your RNA related experiments and research and benefit from excellent quality and performance. 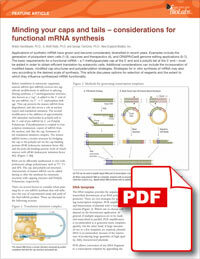 Request your personal free copy of our new “RNA Technical Guide”. The recombinant, murine RNase Inhibitor from NEB is the best protection against omnipresent RNases (RNases A, B, C). Thanks to a point mutation compared to conventional (humane/porcine) RNase Inhibitors NEBs variant is longer active in experiments – even with lower DTT concentrations! Price comparison (Costs/100 units) based on published list prices as of 01/2018. In vitro RNA synthesis requires a DNA template, RNA polymerase, NTPs and other factors. High-yield robust reactions require optimization of each reaction component. NEB offers five in vitro RNA synthesis kits, all of which have been optimized to generate reproducible yields of quality RNA. ProtoScript II Reverse Transcriptase is a recombinant M-MuLV reverse transcriptase with reduced RNase H activity and increased thermostability. It can be used to synthesize first strand cDNA at higher temperatures than the wild-type M-MuLV. 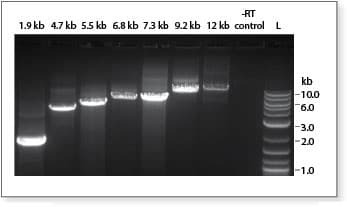 The enzyme is active up to 48°C, providing higher specificity, higher yield of cDNA and more full-length cDNA product, up to 12 kb in length. This unique workflow meets the demand for a highly sensitive, yet robust method that consistently generates high-quality, full-length transcript sequencing data from a single cell or ultra-low input RNA. 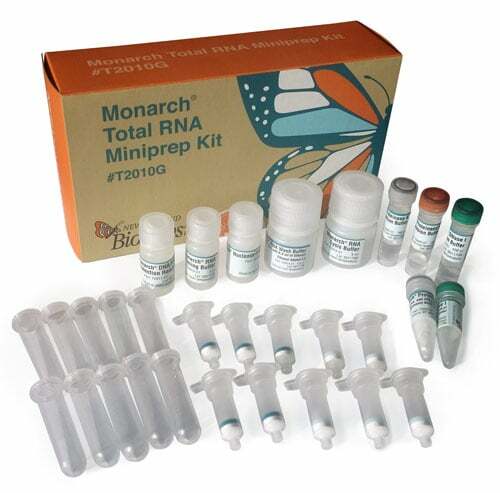 Optimized cDNA synthesis and amplification steps incorporate template switching, as well as utilize a unique protocol and suite of reagents. Even low-abundance transcripts are represented in the high yields of cDNA obtained. Subsequent library construction incorporates the Ultra™ II FS enzymatic DNA fragmentation/end repair/dA-tailing mix in a simple and efficient workflow.